Gourmet Garden has launched their new world-first cold blended herb & spice Finishing Drizzles…. a fresher, healthier, flavour sensation to make meat amazing. Inspired by traditional recipes from across the world, they cold blend herbs and spices with oil and complimentary, authentic ingredients creating the perfect finishing touch for grilled meat cuts – Finishing Drizzles are cold blended for fresher flavour, are gluten free and have no artificial preservatives, colours or flavours. 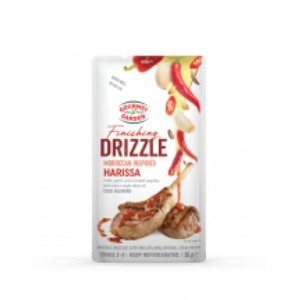 For vibrant, delicious restaurant quality meals, simply shake, tear and drizzle over your favourite grilled, pan-fried or barbecued meat cuts. Cold blended for fresher flavour. Simply shake, tear and drizzle. 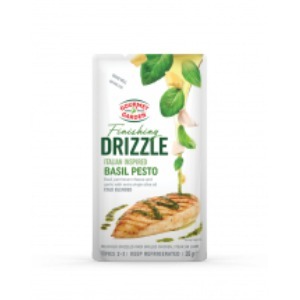 Basil Pesto – Inspired by an authentic Italian recipe, Basil Pesto has an intense & vibrant flavour and is made from Queensland grown basil, cold blended with parmesan cheese, garlic and lashings of extra virgin olive oil – ideal over grilled, pan-fried or barbecued chicken, steak, pork or lamb. No added sugar. Nut free. Chermoula – Inspired by an authentic North African recipe, Chermoula has an intense & vibrant flavour and is made from a delicious blend of Queensland grown coriander, mint & parsley, cold blended with selected spices, lemon zest and lashings of extra virgin olive oil – ideal over grilled, pan-fried or barbecued lamb, fish, steak, chicken or pork. No added sugar. Dairy Free. 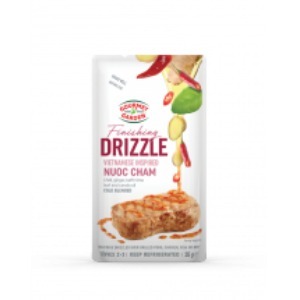 Nuoc Cham – Inspired by a sweet & sour Vietnamese recipe, Nuoc Cham has an intense flavour & medium spicy kick. Made from the exotic flavours of chilli, ginger and kaffir lime leaf, cold blended with canola oil – ideal over grilled, pan-fried or barbecued pork, chicken, fish or beef. Dairy free. 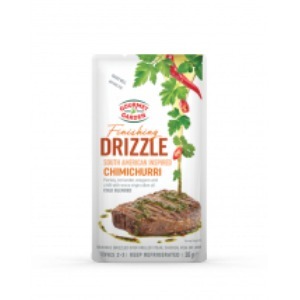 Chimichurri – Inspired by a traditional South American recipe, Chimichurri has an intense & mild spicy kick. 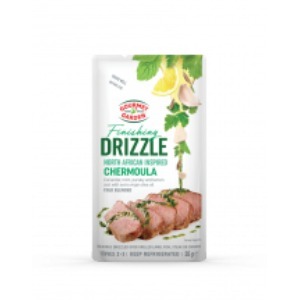 Made with Queensland grown parsley & coriander, cold blended with chilli, oregano, garlic, cumin and lashings of extra virgin olive oil – ideal over grilled, pan-fried or barbecued steak, chicken, fish or lamb. No added sugar. Dairy Free. 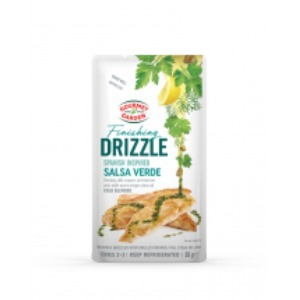 Salsa Verde – Inspired by an authentic Spanish recipe, Salsa Verde Finishing Drizzle has an intense & vibrant flavour and is made with Queensland grown parsley, basil & coriander, cold blended with dill, capers, lemon zest and lashings of extra virgin olive oil – ideal over grilled, pan-fried or barbecued chicken, seafood (especially salmon), steak, pork and lamb. No added sugar. Dairy Free. A heathier, fresher alternative to other sauces and condiments. Harissa – Inspired by a traditional Moroccan recipe, Harissa has an intense flavour & medium spicy kick. Made from an aromatic mix of chilli, garlic & smoky paprika, cold blended with extra virgin olive oil – ideal over grilled, pan-fried or barbecued lamb, chicken, steak, fish or pork. Dairy Free.